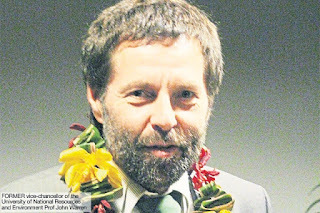 FORMER vice-chancellor of the Papua New Guinea University of National Resources and Environment Prof John Warren, pictured, left as he was about to be sacked by the university council, says chancellor Prof Kenneth Sumbuk. He was responding to a news report by Warren in overseas media that he fled the university because he was about to be arrested for making attempts to rid institutional cheating and corruption. 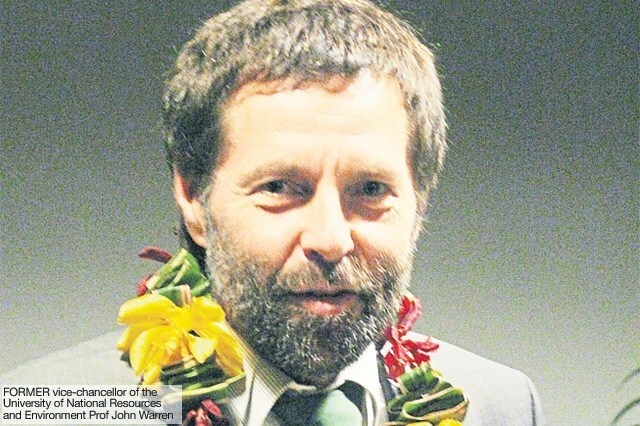 The 56-year-old British professor, who took up the vice-chancellor’s post in 2016, said he was threatened after trying to crack down on cheating and corruption regarding the handling of university finances. Warren said he also tried to improve academic standards and appoint staff based on merit rather than tribal allegiances but university staff opposed the changes. Warren claimed Sumbuk overturned nearly every administrative decision he made. Sumbuk said there was no evidence of cheating and corruption as far at the university after his council took office, but they had been reported in the past. He said Warren brought disrepute to the administration and the senior management of the university when he started sacking senior staff, including two pro-vice chancellors and the bursar and replaced them with junior staff. “Prof Warren has a serious problem of not working with people and was bad mouthing me in front of senior management staff. I warned him to stop or he would be referred to the police,” Sumbuk said.